. 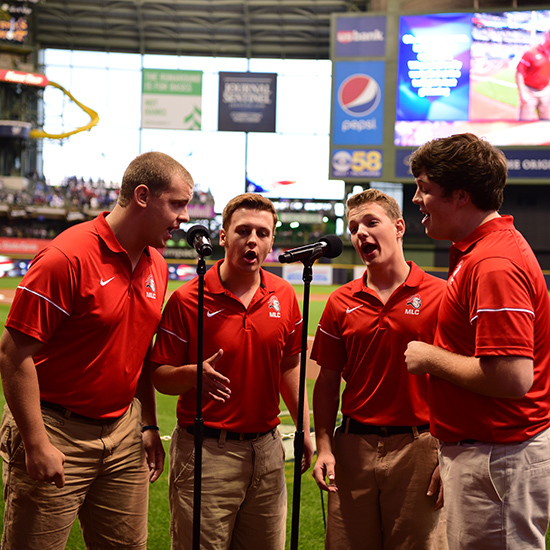 . . you’re chosen by the Milwaukee Brewers to sing the national anthem. (MVL / St. John-New Ulm MN). https://mlc-wels.edu/admissions/wp-content/uploads/sites/23/2018/08/WP2_7089.jpg 550 550 Leah Matzke https://mlc-wels.edu/wp-content/themes/mlc/images/mlc-logo.png Leah Matzke2018-08-28 19:41:022018-08-28 20:53:35. . . you’re chosen by the Milwaukee Brewers to sing the national anthem.
. . . you preach your first chapel sermon. . . . you can speak only Spanish.